Home » Articles » Will an insurance company ignore a treating doctor’s opinion? Will an insurance company ignore a treating doctor’s opinion? Many people, as well as their medical professionals, mistakenly believe that when they file a claim for short and/or long-term disability benefits, their disability insurance company has to accept the medical professional’s opinion that they are disabled. Common sense suggests this is a reasonable assumption – but it couldn’t be further from the truth. Why? Because many insurance companies simply do not want to pay people’s disability claims and, when armed with discretionary language in the policy, the insurance company has the final say as to who is “disabled”, not the treating doctor. Making matters worse is the fact that the insurance company is operating under a conflict of interest when it evaluates a disability claim – remember it makes the decisions and also pays the claim if it approves it. Even though I have been dealing with disability claims for many years, I remain amazed at how frequently a treating doctor’s opinion about disability is either ignored or dismissed by the insurance company in favor of their own handpicked doctor’s opinions. A dirty secret in the disability insurance industry is that for many years, insurance companies have relied on outsourcing the ultimate opinion regarding whether a person is disabled to an alleged “independent” medical professional to make the decision, many of whom are frequently retained and earn a significant living from simply reviewing medical records. A dirty secret in the disability insurance industry is that for many years, insurance companies have relied on outsourcing the ultimate opinion regarding whether a person is disabled to an alleged “independent” medical professional to make the decision, many of whom are frequently retained and earn a significant living from simply reviewing medical records. The insurance company’s doctors will never see or examine the insured, does not know what issues the insured is dealing with each day – they only look at medical records. 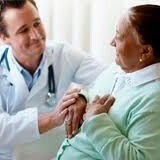 Not surprisingly, these reviewing doctors frequently conclude that the applicant is able to work. Many people mistakenly assume that a doctor hired by the insurance company is truly independent and should reasonably agree with the treating medical professional; however, this is often not the case. Indeed, the insurance company doctor may even call the treating doctor for a peer to peer phone call, to make sure it provides a full and fair review. Of course, the idea makes sense, who else knows the medical condition and barriers to working better than the treating doctor. However, my experience is that the phone call is often merely a precursor to a denial, because the insurance company doctor will write a report simply disagreeing with the treating doctor. Discretionary language means the insurance company has the right to determine who is eligible for benefits and who is not. The main culprit in why insurance companies have this type of powerful leverage over a disability claim is due to the fact that many employer provided disability insurance policies contain discretionary language. Discretionary language means the insurance company has the right to determine who is eligible for benefits and who is not. This is a very powerful tool which allows an insurance company to deny claims. If an insurance company approves a disability claim it generally means the insurance company’s doctor agreed with the treating medical professionals. If a disability claim has been denied, the insured will usually need to sue before the insurance company will reverse its decision.